WHEN Arthur Zahorik, a high-school music teacher in Milwaukee, Wis., tells a student to “run up the scales” he means it literally. 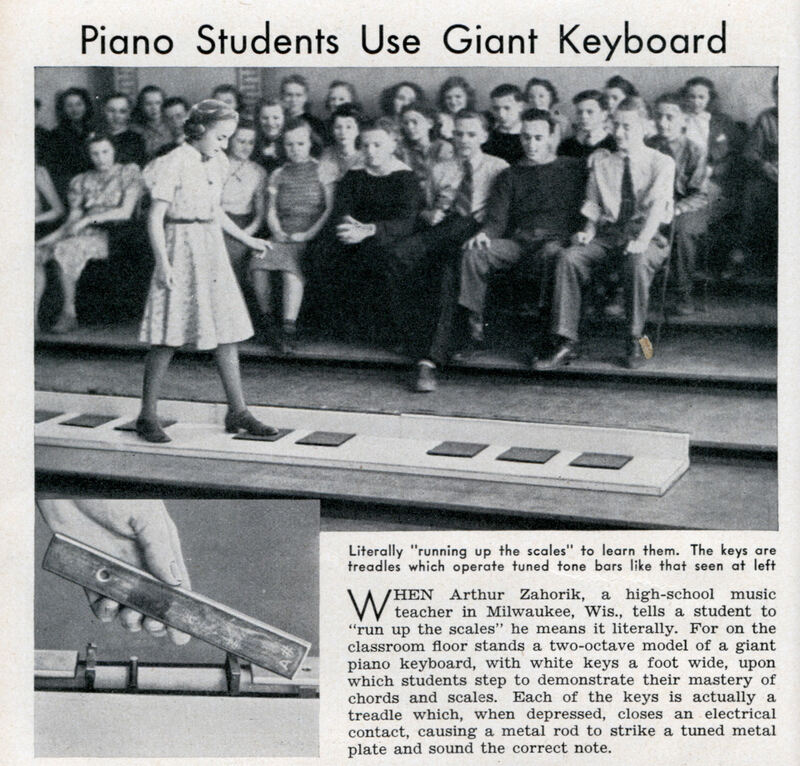 For on the classroom floor stands a two-octave model of a giant piano keyboard, with white keys a foot wide, upon which students step to demonstrate their mastery of chords and scales. Each of the keys is actually a treadle which, when depressed, closes an electrical contact, causing a metal rod to strike a tuned metal plate and sound the correct note.